In the office, we always crave for pizza. Sometimes we treat ourselves with pizza after receiving our salary or we wait for our boss's pizza treat. One time, our boss decided to bring us to S&R to have our office groceries. By the way, my boss loves S&R rather than any other grocery stores in the Philippines. We bought coffee, pancakes, tons of tissue, bond papers and other office supplies. But what we are actually after is our first time S&R pizza experience! 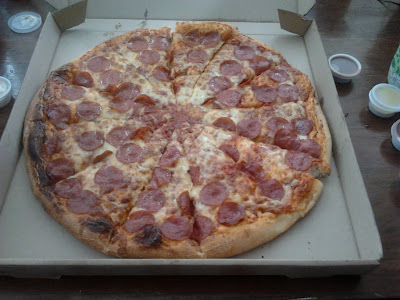 We heard that pizza in S&R (the New York Style Pizza) is one of the best. 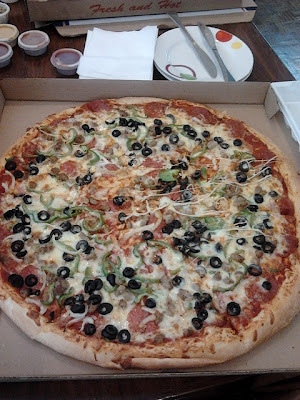 After doing the groceries, we lined up and ordered the super delicious Pizza Combo. It has chilies, pepperoni and cheese. A perfect combination in a slice. 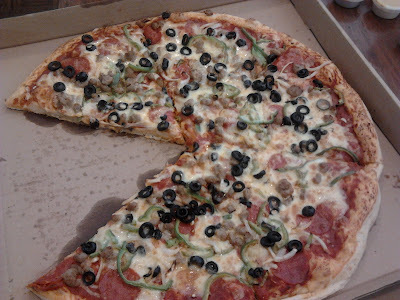 This big pizza only cost P549.00, not bad for this a great size! And then just recently, we tried another one, the Pepperoni pizza. It is topped with cheese and plenty of pepperoni. Another awesome goodness delight. Ouano Avenue cor. E.O. Perez St.
By the way, you have to present S&R membership card to enter. But you can also join a friend or someone who’s a member to go in. Membership fee is P700.00 and is valid for 1 year. Visit their website for more information: S&R website. try the garlic & shrimp!! Garlic and Shrimp is yummy but the New York Style Pizza is way delicious. I think this are the most popular pizza flavor of S&N. Thanks for sharing!